Interested in the latest developments and future trends in semi-active and active suspensions? Prof. Dr. Ing. Peter Michel discusses lightweight technologies and materials for suspension systems in order to overcome global competition. Download the full presentation. 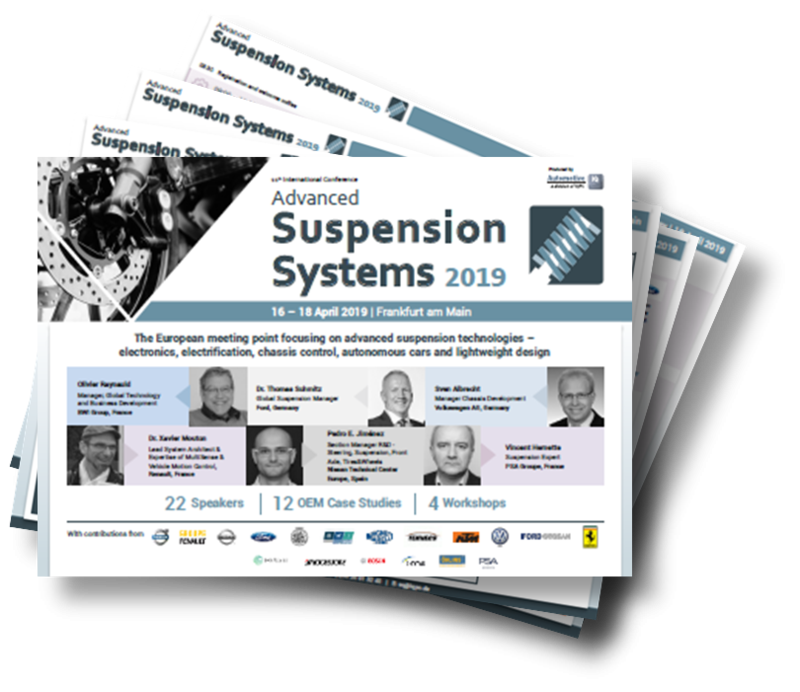 Read how Erhan Eyol from Ford and Paolo Martino from IHS discuss the latest trends for suspension systems regarding smart materials, advanced features and electrification. Automotive IQ’s article discusses concepts to reduce weight of the automotive body and drivetrain, and how to develop a lightweight materials suspension strategy.